It’s easy to forget but the internet is a comparatively young medium and we are only scratching at the surface of its potential. For all practical purposes the internet as we know it is just 20 years old. Consider how immature previous communications and media technologies were early in their development. The Guthenberg press was invented in 1450 but it was 1702 before the first daily English newspaper, The Daily Courant, was published. In the early days of film, all people did was record silent plays using one camera recording from one angle. It was another 30 years before sound was added to movies. Technology development has accelerated since the early days of print and film and we are currently living through a period of rapid change. There are currently three cycles of computing happening simultaneously, much faster than the decade it took each of the previous four computing cycles. In the 60s we had the mainframe computing era, in the 70s mini computing brought those benefits to many smaller companies, the 80s was the decade of the PC revolution, the desktop internet changed things in the 90s, and we saw the mobile internet emerge throughout the last decade. 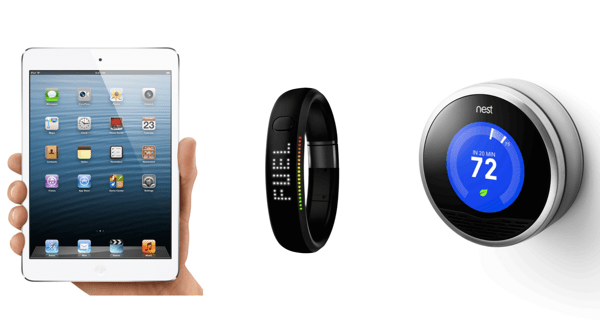 Currently we are seeing the proliferation of (a) mobile technology, (b) wearable technology, and (c) sensors and internet connections in everyday objects. These concurrent cycles mean we are rapidly heading to a point where everything will be connected; the internet is starting to permeate everything. So what does that mean for the future of designing digital products and software? While nobody can say with certainty what things might look like in ten years, or even five years, three key themes are pointing the way forward. Here I’ll look at the implications of designing systems rather than pages, and will address personalisation and change in subsequent pieces. When everything is connected, we need to design systems rather than products. Let me give you an example; Facebook is not a blue and white website. It’s a system of connected things which exist independently and in aggregated views. 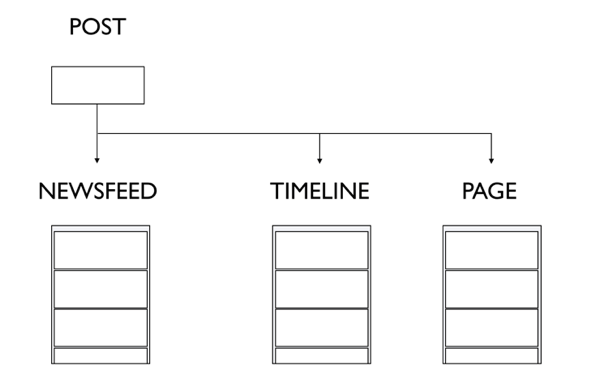 When working at Facebook helping brands and agencies successfully build on the platform, I often showed them the above diagram. I explained that we are designing systems, not destinations. That thinking about designing destinations, or apps, was missing the bigger opportunity. Thinking about systems rather than destinations is critical but it is not how most designers think today. Systems are comprised of individual components that are connected. These connected components have relationships between them; they can change each other. They can be separated and re-aggregated in different ways. 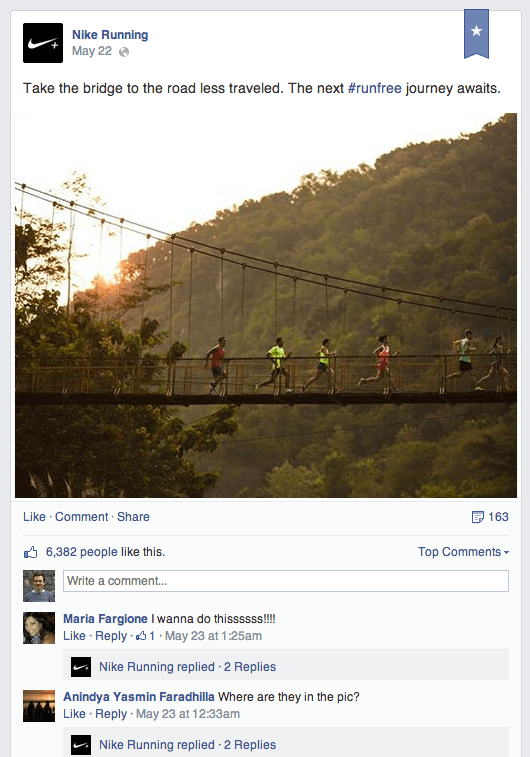 With Facebook, the Newsfeed, Timeline, and Pages are all simply an aggregation of individual posts. If I post a photo, it appears in my friends Newsfeed, but also on my Timeline. If I tag a friend it appears on their Timeline, and in the Newsfeeds of some of their friends. If I mention a brand it shows on their Page, building new connections between me, my friends, my friends’ friends, and a business. For example, here is an individual post from Nike on Facebook that can and will appear in many different locations, but it will always carry it’s related information and actions along with it. This is why card based design is a very useful design pattern when designing systems. Twitter uses the same idea. Instagram works the same way. Pinterest works the same way. 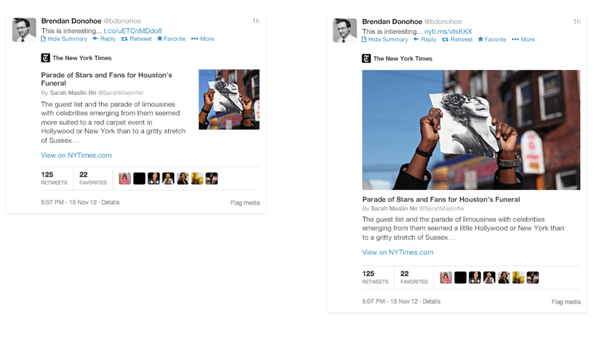 A tweet, an Instagram post, or a pin – they are all individual stories in a scrolling list. Possibly most interesting of all are Twitter cards. The New York Times will possibly have more people consuming their content via this card on Twitter than on their website. Are journalists writing content thinking about that? Are The New York Times considering the idea that not only will their newspaper likely disappear, but that they also might not need a website? That they might simply push content at an atomic level to many different places. To the places that people are already engaging with. This is the difference between people thinking about destinations (“How can I drive more traffic to our website and app?”) to people thinking about systems (”How can we create and publish content so that it can most easily be disseminated across the Internet to maximise consumption?”). These atomic units are critical to the future of the Internet. The job of designers is to create amazing atomic units, and have people consume and interact with them. There are many emerging systems that point in this direction. 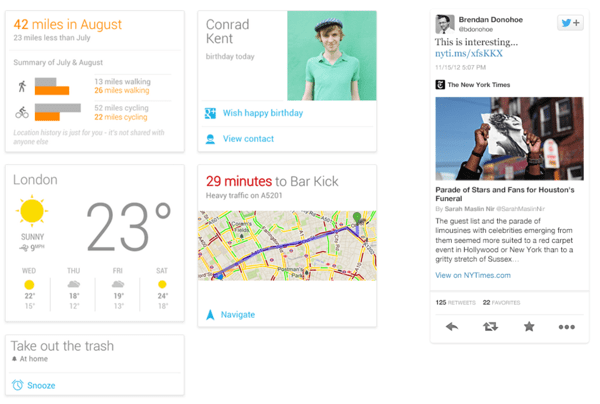 Possibly the most exciting is Google Now. A system of individual, connected components. This is likely the future of Google search, where information you need is delivered to you without you having to type a search query. 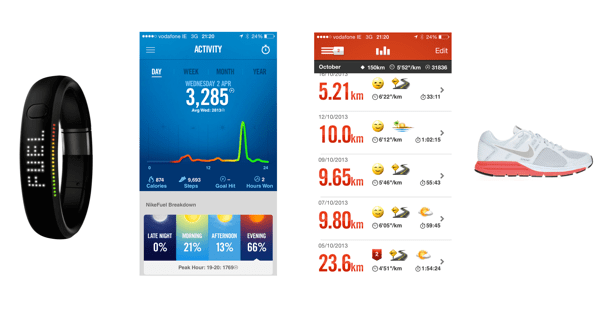 Nike+ is another example. A system of individual, yet connected components. I can’t overstate how important it is to think in systems, not websites, apps, or destinations. Designing systems will become an increasingly large part of designers’ jobs. This post is based on a presentation I gave at the Future of Web Design conference in London earlier this year.